National Day is approaching, and a reporter went to the Guozhan Carrefour store. There was no trace of any knives in the kitchen section on the second floor, not even fruit knives or paper cutters. One employee said, National Day is close, they have received orders from above, “No selling kitchen knives before and during October 1st.” In another Carrefour store in Wanging, the reporter got the same answer from employees. 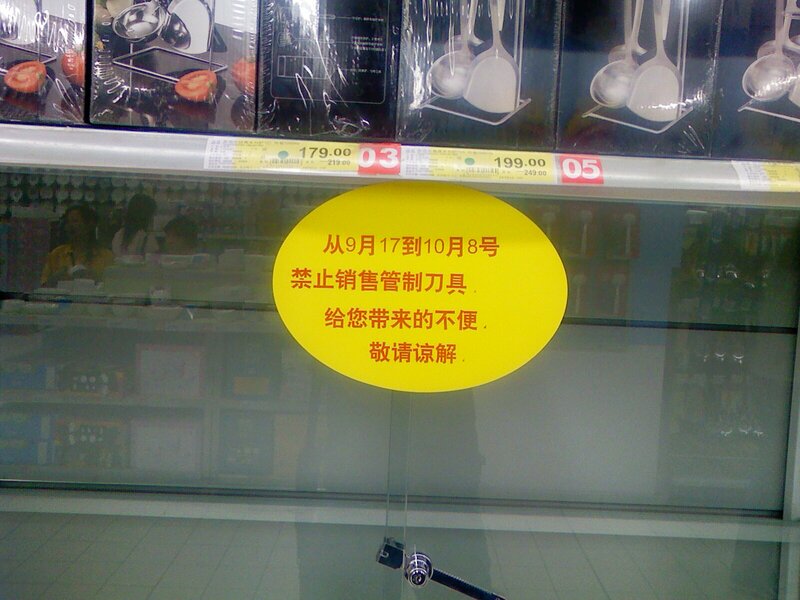 In the Zhichun Road Walmart Store, kitchen knives are no longer sold as well. A manager on duty said they have received a notice from superiors in their company, in order to ensure security during the National Day period, kitchen knives are temporarily off the shelf. 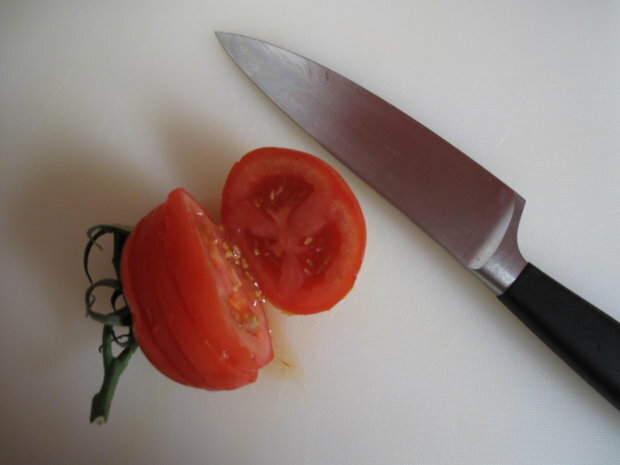 If one needs to buy a kitchen knife or other kind of knives, he/she can go to a small hardware shop or market. The reporter also called Lianmei Supermarket, but the staff said they have not received any notice to take knives off the shelf. They are still being sold for now. * Did history return to the Yuan Dynasty? Then the ruler commanded that several families could only share one kitchen knife (to prevent rebellion). * I suggest real name registration for all knives. * How about shoelaces? They can be used to kill as well. * During the National Day period, do they allow people to cook or not?